Black garnet color. Aromas of dried flowers in a pot, dried strawberry, pine nuts, and blueberry syrup with a velvety, bright, fruity medium-to-full body and a tingling, medium-length chocolate ice cream and graham cracker finish with dusty tannins and moderate oak flavor. A chocolatey, table-ready Argentine Red. Bottom Line: A chocolatey, table-ready Argentine Red. While Malbec from Argentina has taken the American market by storm, there are other reds produced in that country. Planted in only slightly less quantity than Malbec is a red variety called Bonarda. However, we usually use the term 'Other Argentine Red' to refer to wines made with blends of red wine grapes, mostly Bordeaux varietals. These wines are usually modeled stylistically after drier Old World claret style wines versus the juicy, fruity style of Argentine malbec that has become so popular. Other red wines made in Argentina include Syrah, Pinot Noir, Tempranillo, Barbera and Cabernet Franc. 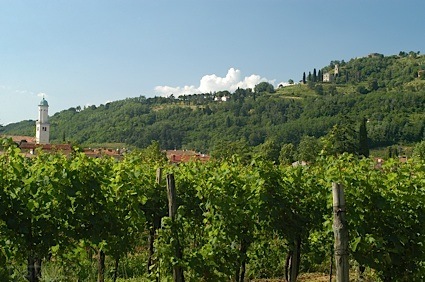 As with most wine-producing regions, growers have learned which climates are most beneficial for particular varieties. Thus Pinot Noir is a specialty of the cool climate Patagonia region in the south, while Syrah produces notable results in the hotter San Juan region near the western border with Chile. 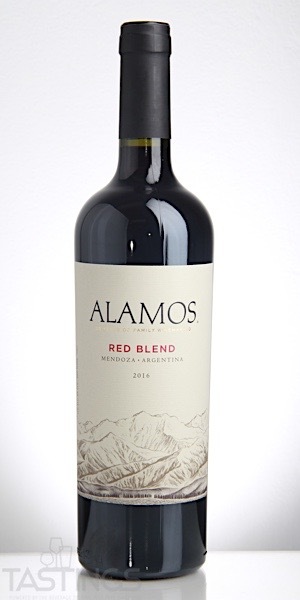 Alamos 2016 Red Blend, Mendoza rating was calculated by tastings.com to be 86 points out of 100 on 8/13/2018. Please note that MSRP may have changed since the date of our review.